I used a spiral notebook each time we moved and despite my fondness for digital files and lists, I would use the same again. The notebook was easy for me. I added notes and items on the fly. Multiple lists, categorized, with a few pages in between each category for flexibility, random thoughts and scribbles worked well in the notebook. I used the back of the notebook, beginning on the last page working forwards, for random notes and thoughts and either categorized later, or got them done quickly the same day. The notebook fit easily into my bag. I kept track of things I needed to do and marked them complete with the date. There was plenty of room for extra notes. This isn’t the time to suddenly try something new. I really recommend using whatever method and size you are most comfortable with, paper or digital. Once you are in your new place, then I encourage you to try new things and explore. There are lots of ideas in our online course. Change of address for mail, credit cards, phone bill, etc. Pets: transfer vet records; consider boarding them when your stuff is being delivered at new place. Whether you follow Marie Kondo and keep only those things that spark joy or not, I highly recommend decluttering before you move. Imagine, if you will, arriving at your new home and unpacking only the things that you need and love, rather than an overabundance of things you don’t use or want anymore. Moving less will save you time and money. Create 3 piles: donate, recycle and trash. Once you’ve removed what’s not moving with you, group remaining items together that will go into the same room in your new place. This will speed up the process of unpacking. Moving companies will not pack and move liquids, such as dish soap, shampoos and cleaning supplies. I suggest giving away what you won’t be moving and packing what you will in your car. Moving boxes stack more easily when they are the same size. If you get boxes from a grocery or liquor store, please make sure they are clean. Reach out in an online community group to see if anyone recently moved and has available boxes. Start collecting boxes as soon as you can. Pack what you aren’t using first and a little at a time. Books and heavy items should be packed in smaller boxes to prevent boxes from getting too heavy. I’ve always used paper, either newspaper or paper from a moving company. Packing paper doesn’t stain like newspaper can. Bubble wrap is an option, as are dishtowels and table cloths and other soft items to protect dishes and breakables. At the very minimum, label boxes with the room name. If you’re packing an item that you are going to need when you get there, include the name of the item on the box. Consider creating a master list or lists of what are in the boxes. I prefer the element of surprise on the other end of the move and don’t create lists. Clear bins are great for items that don’t need to be unpacked right away, and nice because you can easily see what’s inside. When we moved, the movers put packing tape on the bins to keep them secure during transportation. There will be items that you want to move with you. Important paperwork such as passports, social security cards, wills, insurance policies, possible valuables or heirlooms, etc. that you don’t want someone else handling. Find a good spot in your house to start a pile and then start placing things into some boxes or a bag. Pull together any necessary cleaning supplies and place near the pile, too. Pack clothes and toiletries for the number of days needed plus 2. Or at least pack extra underwear and socks, just in case. Moving is hard, and also an adventure. 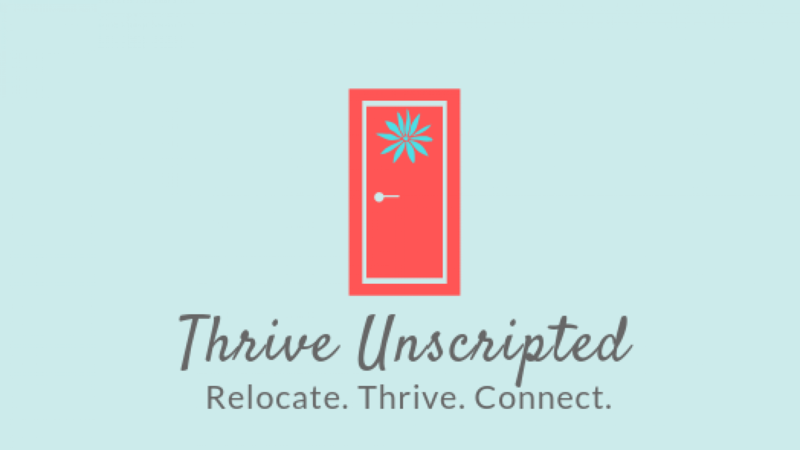 Melody Warnick, author of This is Where You Belong: Finding Home Wherever You Are, and I created RELOCATION RECOVERY, an online course designed to help you thrive through the post-relocation period. This course will help you process emotions, find joy, connect faster in your new place, and so MUCH more. For more information, click here to go straight to the course, or read more here.